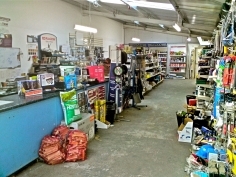 Welcome to Webster Building Supplies Ltd.
Webster Building Supplies Ltd is an independent builders merchants based in Milnathort. We have been trading for 20 years and are proud of our reputation as the best supplier of building materials in the area. Webster Building Supplies Ltd offers local builders and DIY enthusiasts just the sort of service they need.Our welcoming showroom and yard stock a wide range of high quality building materials, timber, tools and accessories, all at competitive prices. We hire out small plant including cement mixers, mini digger, stihl saws and whacker plates. Manager Jamie Gahan and experienced sales staff possess over 20 years experience in the industry and are always pleased to help and advise. Friendly staff are always on hand to help you find what you need. If we don't have exactly what you are after, just ask. We can usually get it. Yard staff will load your vehicle for you or our experienced drivers will deliver what you want, right to where you want it. The choice is yours. Our fast and friendly delivery service transports materials throughout Central Scotland. We operate large lorries with cranes and pick-up trucks for sites with restricted access. We can also arrange delivery of bulk loads direct from supplier to site.